If you have never heard of Team Fortress Two here is your chance to play! Before we get into anything complicated, there are some basics you should know. Step 1 How to get it! First, be sure that your computer can handle the workload! 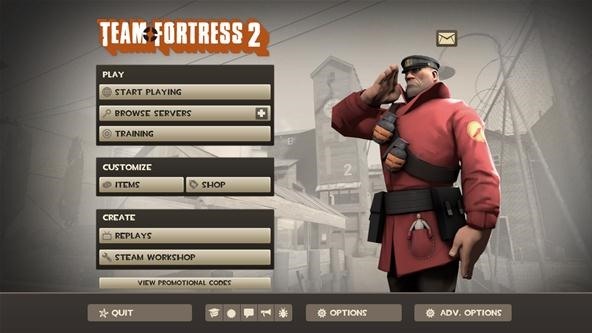 TF2 is a very computer intensive game. On the title screen there are many buttons as well as amazing music playing in the background. In TF2 there are 9 classes each with their unique abilities and weapons be sure to choose wisely! They are listed here in order. Upon request from just starting players, who are interested in a class, I could try to give more advanced help in the form of larger descriptions and details about them. Scout: Runs really fast and has a shot gun. What are you waiting for! Rack up some experience and ask me questions!